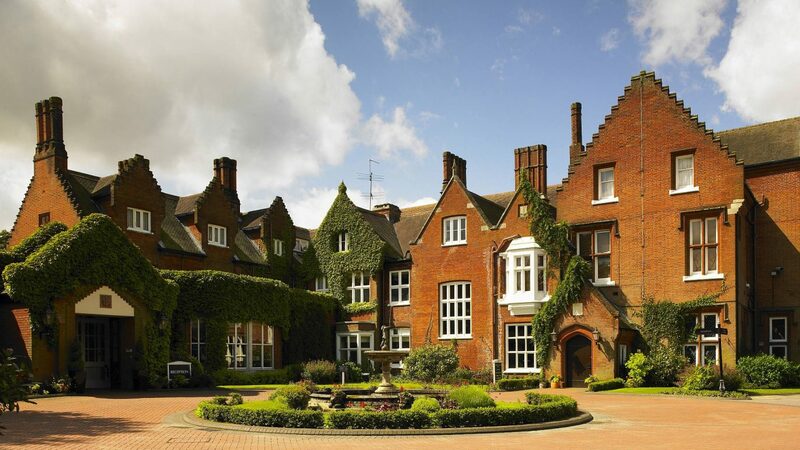 Sprowston Manor Marriott Hotel & Country Club welcomes you to Norwich, UK with an idyllic countryside location, luxury accommodation and a host of first-rate amenities, providing astylish backdrop for your visit. Our hotel is housed within a stately 16th-century English manor and features the perfect blend of historic elegance and contemporary comfort. Hotel rooms and suites boast a variety of helpful amenities, while many feature views of our beautifully landscaped grounds. Designed for the champion golfer in everyone, Sprowston Manor Golf Club is widely regarded as one of the best inland courses in Norfolk. Our course features challenging, inventive holes and a picturesque setting in Norwich. We also offer a first-rate pro shop and a coaching academy that provides lessons from PGA-certified teaching professionals. Sprowston Manor Golf Club features USGA specification greens and over 70 strategically placed bunkers. It also boasts several impressive water features, most notably the ponds, weirs and fountains on the spectacular 7th hole, a par-4 dogleg that runs alongside our hotel’s stately oak-lined driveway. With large, undulating greens and the ability to play from numerous tees, Sprowston Manor provides a challenge for golfers of all skill levels. Our par-71, 6,547-yard championship course in Norwich has hosted numerous events over the years, including the professional EuroPro Tour and the amateur Trilby Tour. Book now for your 2018 Golf Society Day for a minimum of 12 players and you will receive 20% off Food & Beverages for all golfers. Simply quote GNPowerUp. Just over 2 hours from London via M11. From £25pp. Contact the club for further details of up to date rates. 94 en-suite rooms onsite. Indoor swimming pool and spa. 26 bay floodlit driving range, practice facilities, buggy hire.